The name “Royal Guardsmen” was chosen in recognition of the historical environment the chapter will be operating. The United Kingdom prides itself in its tradition, foremost of which is the unity that keeps it attributed to the role played by the Royal Family. The head of the state is Queen Elizabeth II. Her cousin, the Duke of Kent, is the Grand Master of the United Grand Lodge of England. 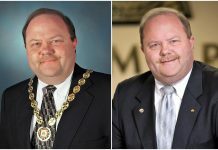 The royal family has played an instrumental role in the growth and preservation of Freemasonry in the country. 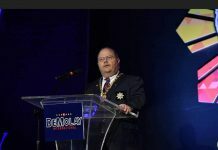 As an allied masonic group of Freemasonry, the Order of DeMolay is heir to this honored tradition of recognizing the role played by the Royal Family in the masonic tradition. 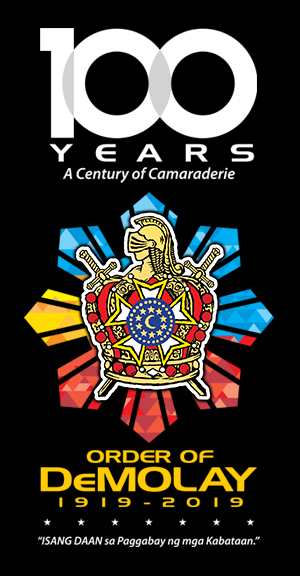 The selection of the word “Royal” in the chapter’s name carries this tradition. 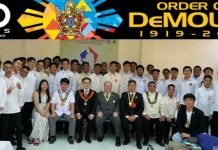 The word “Guardsmen” manifest the commitment of the senior DeMolays who formed this chapter to remain steadfast to their adherence to the Seven Cardinal Virtues. 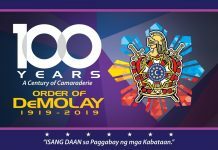 Literally, the members are “guards” of these DeMolay virtues and will continue to keep the Seven candles lighted in their journey as Senior DeMolays. 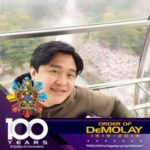 Picture was taken last 22nd September 2018 at the 6th Public Installation of Centennial Officers of Royal Guardsmen DeMolay Alumni Chapter No. 49 – United Kingdom. Bro/Dad Jc Javier, Bro/Dad Michael Francisco, Bro/Dad Michael Raagas, Bro/Dad Jb Dizon, Bro/Dad Rey Cafuir, Bro Alvin Nangcas, Bro/Dad President Albert Gavina, Bro/Dad Kim Villacampa, Bro/Dad Gener Gines, Bro/Dad Joel Coloma & Bro Ian Lao. Bro/Dad Joseph Bisquera, Dad Rick Espino, Dad Cris De Asis & Dad Marlon Supnet Orio.